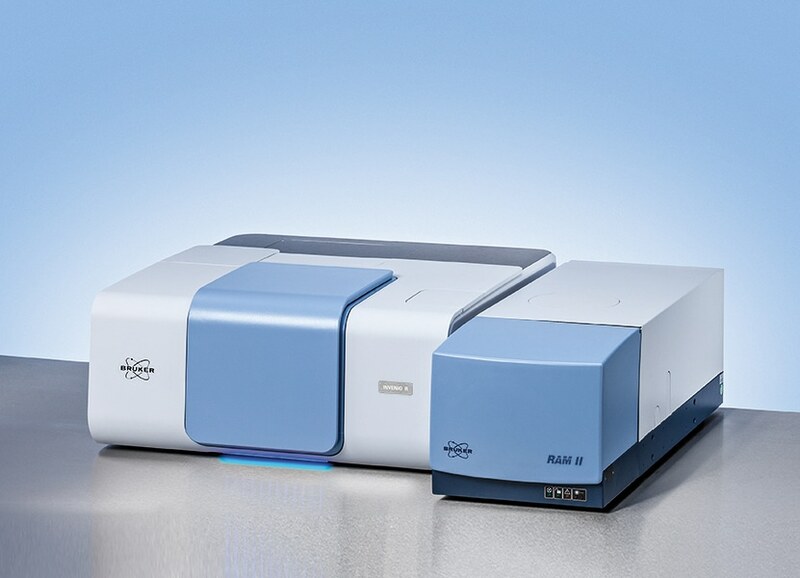 Bruker Optics’ RAM II is a dual-channel FT-Raman module – the first of its kind add-on module that can be coupled with Bruker VERTEX Series multi range FT-IR spectrometers. This combination is achieved by using the spectrometer port comprising one input and one output. What’s more, the module ensures the maximum suppression of spurious fluorescence, while the sample handling is made extremely rapid and easy. In addition, switching between the infrared and Raman is fully controlled by software. With a standard 1064 nm excitation source, the all-new RAM II module ensures utmost suppression of undesired fluorescence. What’s more, the module has the option to be configured with a dual channel for an additional excitation line. The RAM II can accommodate a second laser and detection system, automated polarization accessory and two-fiber optic coupling ports, to ensure ultimate flexibility. It also features an easy switching option between 90° and 180° scattering geometry and defocusing optics, which is vital for colored samples being heated by the laser beam. The RAM II’s typical configuration includes a motorized sample stage (enabling optimization of the sample position) and a white light source that corrects the spectra for instrument responses. What’s more, the RAM II comes with optional components in the form of additional sampling accessories, such as automatic sample changers, and low- and high-temperature stages. Further, with the FT-Raman microscope RamanScope, FT-Raman FT-Raman spectroscopy is expanded to samples in the µm size range. The RAM II enables a spectral range within 3600-50 cm-1 (Stokes shift). In addition, the standard diode-pumped Nd:YAG laser source (1064 nm) is air-cooled and fully software controlled. The system has the option to be fitted with either or both room-temperature InGaAs detector and a proprietary high-sensitivity Ge diode detector. What’s more, Bruker Optics’ unique liquid nitrogen cooled Germanium detector and high throughput optics offer ultra-low signal detection with minimal noise, thus assuring excellent sensitivity. Ultimately, the long hold time of the refrigerant ensures hassle-free operation for periods up to a whole week.